I live in Los Angeles and am growing cucumbers in a container. 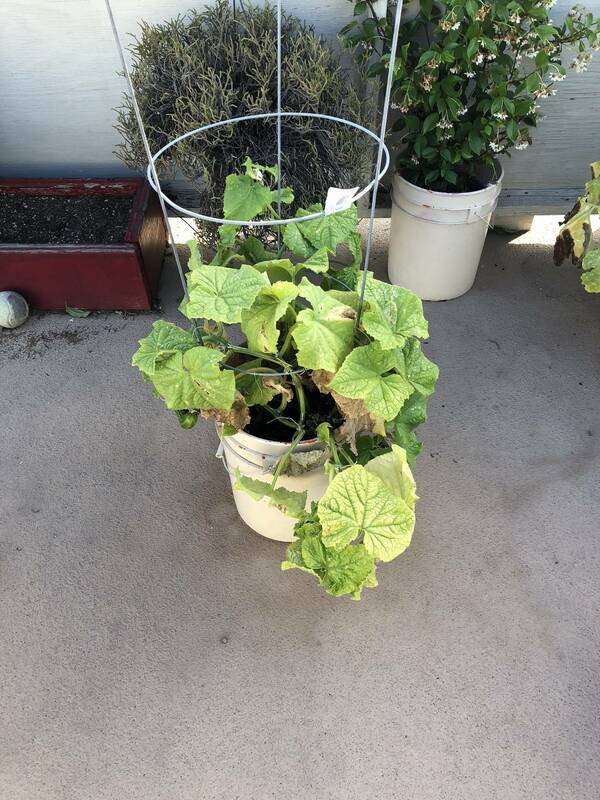 My cukes were going like gangbusters until about a week ago, had probably 10 little baby cukes growing, and then my leaves started turning yellow. The whole plant is light yellow now, with some leaves having turned brown and died. Most of the babies have died off too, though the larger ones have continued growing. Its been pretty hot here and the plants are in full sun, so I was watering every other day. Investigated the leaves, don't see anything like bugs or mites. Tried a Epsom salt foliar spray but nothing seems to have helped. I also tried some more veggie fertilizer on Tuesday. 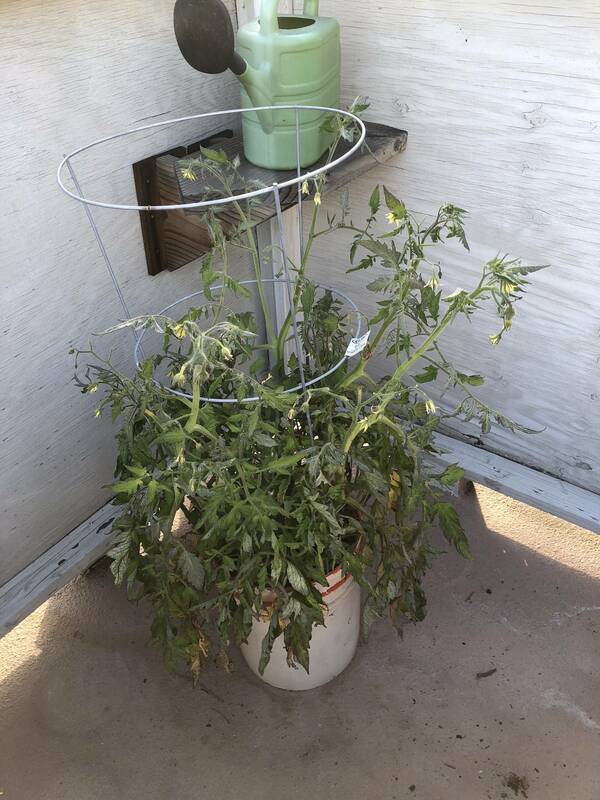 I eased up on water on Tuesday, and actually haven't watered since then, to see if maybe I was over watering. I can add some photos later today once I'm home. Does anyone have any ideas? 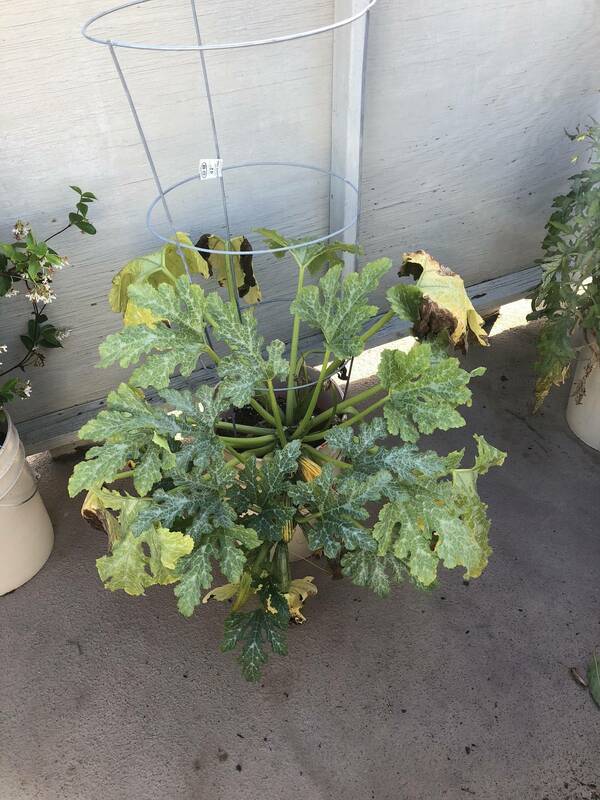 I have had similar issues with my container zucchini (leaves yellowing and dying), and my tomato plant has a few yellowing leaves at the base and has yet to fruit. I think it might just be the weather/light change that caused it. We have loads of different species of plants with similar symptoms as yours, which all started to appear at once (in different soils), and many of them mimic magnesium deficiency (some mimic potassium deficiency or nitrogen deficiency, but adding nitrogen didn't color the leaves; adding magnesium helped the plants have improved heat-tolerance, but the leaves didn't color much more). At first I thought it was herbicide drift, but now I'm thinking it's just because we had a cool early summer that lasted a while, and now it's suddenly hot. My advice is just to remove the discolored leaves, fertilize, and water more (if your soil dries out fast). If nothing makes the leaves green, keeping them around probably isn't going to help, IMO, at least when those leaves are used to cooler, less bright weather. That seems to be helping my plants. If growth still keeps turning yellow, then this isn't the best advice in that scenario. Anyway, this answer is my opinion, based on what I've seen in my own garden. I'm not in California, though. It could be mosaic virus but I do not see any good evidence of that. What I see is that all your plants are congested. Too much foliage, too smaller pots. If it had been hot and you watered every day, the watering could have triggered the virus. Trim your plants. Tomatoes have way too many stems. Take off the bottom stems unless you have fruits forming there. On the upper side stems, pinch or remove the small stem growing between the main stem and side shoots. Same for all your other plants, too many stems. What your plants are doing is try to sustain stem growth, flower growth, fruit growth.... That’s exhausting and needs lots of water and nutrients to do it. These plants are hungry when less crowded. Trimming will also bring air between the stem to avoid virus settling and fruits will be expose to more sun to ripen. 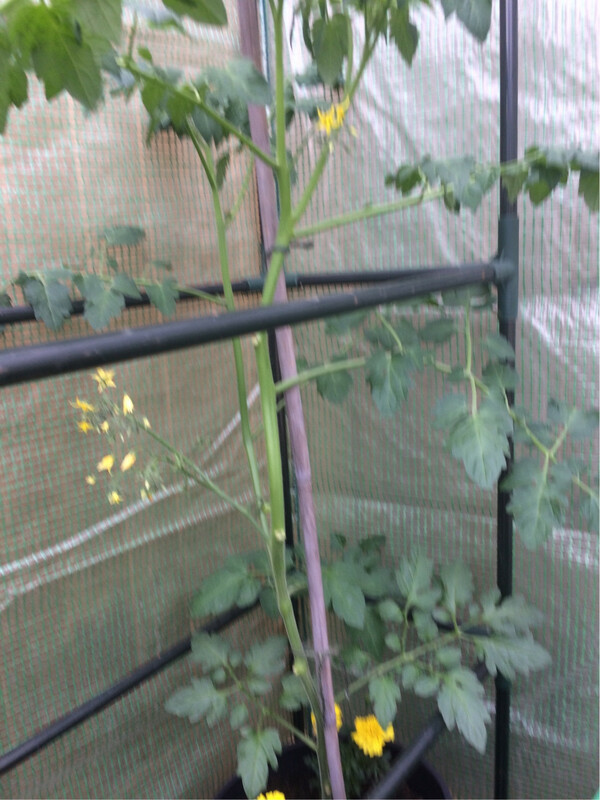 You must feed these plants with a tomato feed, high in Nitrogen. It is now a bit late for repotting. Here’s a photo of my plants to give you an idea. I live in the uk where it’s not as warm as LA. Not the answer you're looking for? Browse other questions tagged diagnosis vegetables plant-health container-gardening cucumbers or ask your own question. How can I revitalize cucumber plants after spraying them for mildew?